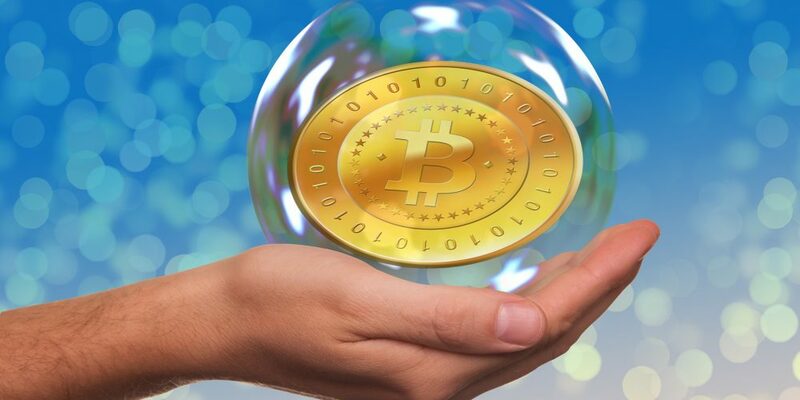 Is There A Looming Cryptocurrency Bubble? Cryptocurrencies have emerged as strong prepaid gambling options over the years. However, huge spikes in their valuation are leading some investors to consider the possibility of a bubble soon bursting. Digital currencies have many advantages for online gamblers, so if this does occur, gamblers may resort to other options. One of the biggest red flags is the fast growth of cryptocurrency valuations. Bitcoin, the first cryptocurrency to hit the market and arguably the most famous, went from $969 to more than $5,000 in September. Ethereum, a rival cryptocurrency, went from $8 at the beginning of 2017 to being traded as high as $400. There are a number of other alternative currencies that are traded on the market, but these 2 are soaking up the limelight as of now. Token Report, a cryptocurrency database, reported that 105 initial coin offerings (ICOs) worth $1.32 billion were sold in the most recent quarter. More than $956 million have reportedly been sold in the first half of 2017. $100 million was raised last year, and there has already been $2.27 billion raised this year. All of this, of course, going unregulated due to cryptocurrencies’ independent status. With numbers like these, it is easy to see how such fluctuations can be disconcerting. The US Securities and Exchange Commissions stated earlier this year that some alternative currency offerings technically qualify as securities and are therefore subject to securities law. The Chinese government is actively working to outlaw all types of cryptocurrencies along with South Korea. Chinese media have called them pyramid schemes disguised as technological innovation. On the other hand, Japan recognizes Bitcoin as a viable payment method. Celebrities have endorsed cryptocurrencies and there are plenty of US vendors accepting Bitcoin on the market. Wall Street giant Goldman Sachs has even come out as saying they would be exploring possible digital currency trading options—making them the first firm on Wall Street to be directly involved with the cryptocurrency market. You can make the argument that banks, governments and financial institutions are only upset because they are missing out on revenue via cryptocurrencies. Some have even drawn comparisons to the housing market bubble back in the 2000s. As cryptocurrencies stand now, they provide unmitigated financial means for people looking to trade, buy and sell. The ball is in the user’s court, but some analysts feel that regulation could help the market continue on an upward path, while others believe it should maintain its current identity. As a prepaid gambling method, available in prepaid casinos, prepaid poker rooms and prepaid sportsbooks, digital currencies allow for speedier transactions and no additional fees. This means gamblers can access their full withdrawals faster than other conventional means like wire transfers or credit/debit cards. Provably Fair technology, which works to ensure fairness in online prepaid casinos, was born out of digital currencies and could revolutionize the online gambling industry. This could lead to completely transparent online gambling, which aligns with the transparent model attached to cryptocurrencies. No regulation, no interference, streamlined transactions and transparency which provides a higher quality gambling experience—under these circumstances, it is no wonder valuations have risen as more people use cryptocurrencies. Whether a bubble is truly present, and whether that supposed bubble bursts remains to be seen. As for now, it appears that cryptocurrency usage, particularly with online gambling, will continue to rise. This is not the first instance of a new technology drawing criticism, and it will likely not be the last.